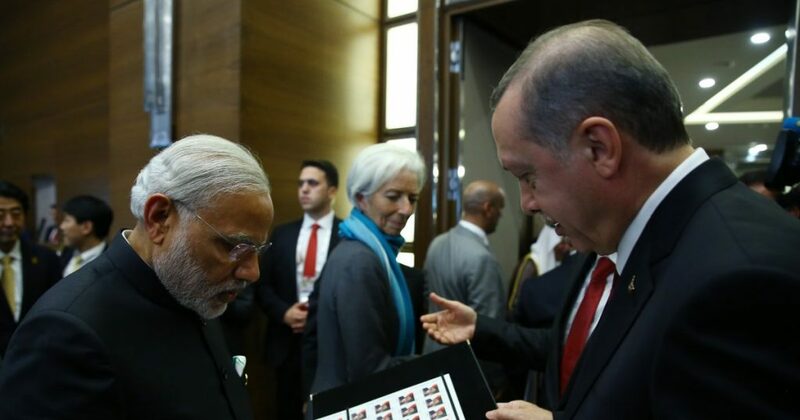 Turkey’s President Recep Tayyip Erdogan will meet Indian PM Narendra Modi in New Delhi on Monday. While ties between India and Turkey are good (and warming), two unresolved issues are expected to form the basis of discussions. The first is Turkey’s historic resistance to Indian membership of the Nuclear Suppliers Group – an organisation that controls trade in sensitive nuclear technologies. India has long sought membership of the NSG to advance its civilian nuclear industry but its status as a non-signatory to a key nuclear weapons treaty has hampered its ambitions. For his part, President Erdogan is likely to again raise the prospect of taking action against the Gulen movement – the global Islamist organisation headed by Fethullah Gulen, a former ally of Erdogan accused of orchestrating last year’s coup attempt. Last year, the Turkish government had asked India to combat the group’s presence within its borders – a request that was met with a tepid response in New Delhi. Perhaps, as some analysts have suggested, Monday’s talks will form the basis for a broad agreement on these two separate issues.